Mountain Tech Inc. is able to provide you with almost any new or used Subaru part. Our Subaru parts warehouse stocks nearly everything - mechanical, body parts, and accessories for most years and models. Most used parts are Genuine Subaru OEM parts. Mountain Tech can UPS ship most any part, anywhere in the US. Even if you are nearby in Portland, Seattle, Salem, or Eugene. Save the gas and have us ship your part to you. We ship out daily. Please contact us at our parts department or call us to ask if we have your part in stock. Please include the year and model of the Subaru for the part needed. We will answer your email; and, if we have it in stock, provide you with a price quote. You can also make an APPOINTMENT to get your car into our repair shop. Check our pages for Subaru Legacy, Subaru Outback, Subaru Loyale, Subaru Impreza, or Subaru Forester parts selection. We are not just a Subaru Junkyard. Mountain Tech is an exclusive used Subaru parts provider for over 30 years. All parts are pulled off the car already. Most all used parts are stored inside. Everything is classified in a very specific Subaru way. We mainly save parts that are low mile and tested good. We do not cut any wire harness. Since we are on the west coast, we do not have rusty parts. We ship all used Subaru parts out same day in most cases. Since we have a very extensive knowledge of the Subarus, We are able to locate the exact part you need quickly. Mountain Tech carries most of the smaller parts, that in a "junk-yard" you would have to buy a complete assembly. We have many older used and new Subaru parts to restore you vintage 1978 and later Subie. Check out our LEGACY AND OUTBACK, IMPREZA, FORESTER, LOYALE, EA81, and SUBARU WHEEL sections below. Click on your model and then you can pick the year your Subaru is. Click to enter our used parts section for Subaru Legacy, Outback, SUS, Brighton, L, LS, LSi, Ti, Mi, GX, and GT. Model years range 1990-2009. Click to enter our used parts section for Subaru Impreza, Outback Sport, WRX, RS, L, LX, and TS. Model years range 1990-2006. Click to enter our used parts section for Subaru Forester, L, S, XS, 2.5X, and 2.5X Limited. Model years range 1998-2007. Click to enter our used parts section for Subaru Loyale, GL10, GL, DL, 3 Door, RX, and RS. Model years range 1985-1994. Click to enter our used parts section for Subaru EA81, GL10, GL, DL, 3 Door, and BRAT. Model years range 1978-1984. 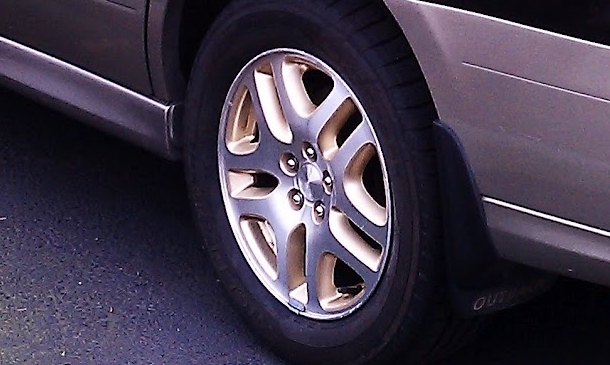 Click to enter our used parts section for wheels and rims for all Subaru models. Still in progress of updating this section please contact us because we have more then we are posting. Please use THIS form if you would like to leave a detailed email for parts needed. Thanks!